Third-party and DNA testing company tools for understanding your autosomal DNA results. In the past several years autosomal DNA testing has exploded in use among genealogists. With the expansion of use many people have been faced with a need to organize and understand their results. Some third-party tools have been developed that help with analyzing the mass of matches that we have gathered from the testing companies. This webinar will look at a number of the tools and show how each can be used to find a path through the mass of DNA data you have received from your tests. 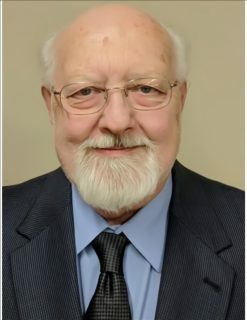 Trained as a lawyer and librarian, Steven has done extensive research in early families of eastern Kentucky and Tennessee, western North Carolina, South Carolina, Virginia, Eastern Maryland and Kentucky. He has ancestors from New Haven, New Amsterdam, New Sweden, and Jamestown. He was an early participant in genetic genealogical testing and runs 11 surname projects at Family Tree DNA. He is a member of the New England Historic Genealogical Society, the National Genealogical Society, New York Genealogical and Biographical Society, the Quaker Historical Society (UK), and the Utah Genealogical Society. He is also a founder and contributing editor of the Journal of Genetic Genealogy and a member of the drafting group for the Genetic Genealogy Standards.